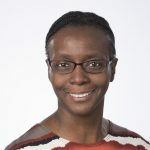 Dr Tanya Foster is currently employed as a consultant internist at the National Chest Hospital and an associate lecturer in the Department of Medicine at the University of the West Indies, Jamaica. She received her MBBS and Doctor of Medicine, Internal Medicine, degrees at The University of the West Indies, Mona, Jamaica. In order to further enhance her patient advocacy role, she completed a post-graduate diploma in Health Management. A clinician at heart, she recently completed a one-year clinical fellowship in Adult Respiratory Medicine at The University of Toronto, Canada and is currently completing a one-year clinical fellowship in Critical Care Medicine at the same university. When she is not in clinical practice, she dedicates her time to a number of church/community-based activities. Chin SN, Foster T, Char G, Garrison A. Concomitant Urothelial Cancer and Renal Tuberculosis. Case Reports in Urology. 2014;2014:625153.